The cheapest and perhaps the best method of running Matrix on a Macintosh computer is via the software package WineBottler. Recently I obtained a Macintosh and have been testing various options for installing and running Matrix software. I have been able to exhaustively test the Wine software and so far I have not been able to fault it. The Wine Software will run Matrix as though it was a native Mac application. Click here to learn more about WineBottler and to download the software for your Mac. After installing WineBottler all you need to do is to download Matrix V6. 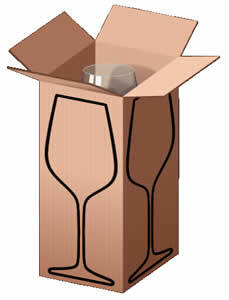 You can ask WineBottler to install it and "hey presto" you have it! 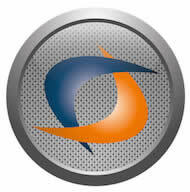 Crossover is commercial software developed by CodeWeavers Inc to run Windows programs. It uses WineBottler in a more intuitive way but it costs more to do this. You can try Crossover if you wish as they have a 14 day trial. Download and install the trial then download the demo version of Matrix V6 and see how it goes. All the instructions for installing Crossover and installing any Windows software on your Mac are available on the Crossover website. Click here to learn more about Crossover and to download the software for your Mac. A third option for running Matrix on your Mac is emulation software such as Parallels Desktop. This is even more expensive than the previous software based on WineBottler. Parallels involves purchasing the software then purchasing Windows from Microsoft. This in addition to Matrix makes this an expensive option but one which is very popular. Parallels describes their software as "The easiest, fastest, and most powerful solution for running Windows on Mac without rebooting. The #1 choice of Mac users for over 8 years, with over 5 million copies sold. Click here to learn more about Parallels Desktop 10 for Macs..